The point from which the whole weight of an object appears to act. The point from which the whole weight of an object appears to act. An object will remain balanced as long as its centre of gravity is directly above its base. The lower an object’s centre of gravity, the more it can be tilted without toppling over. Racing cars are designed to have a very low centre of gravity, allowing them to go round corners at high speed without tipping. An object will remain balanced as long as its centre of gravity is directly above its base. 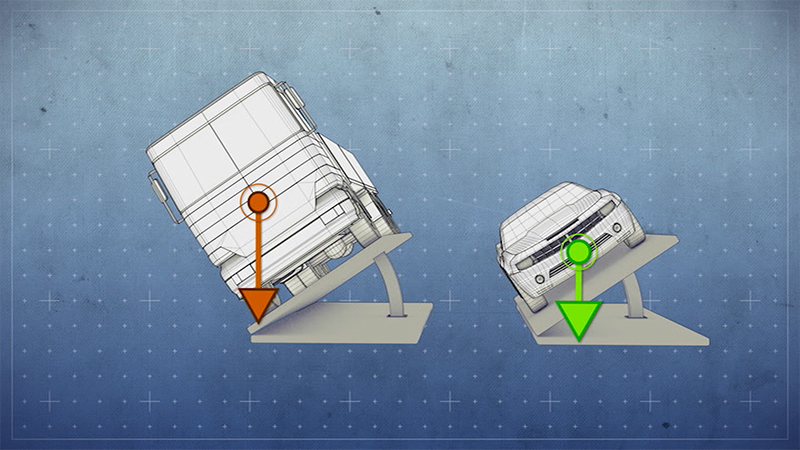 The lower an object’s centre of gravity, the more it can be tilted without toppling over. Racing cars are designed to have a very low centre of gravity, allowing them to go round corners at high speed without tipping.